From 1st – 7th April 2019, Dasiy Chain is asking everyone across the Tees Valley to help us raise awareness of autism for World Autism Awareness Week. 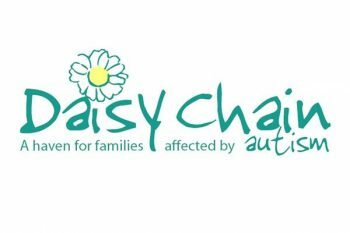 Daisy Chain would love you all to take this opportunity to help us to raise awareness and understanding of autism and the difficulties children and families face on a daily basis. By displaying one of our posters you can help us to continue our work not only to tell everyone about autism, but to help people understand it too. Autism Spectrum Disorder (ASD), often referred to as autism, is a lifelong neuro-developmental disorder that affects the way a person communicates with and relates to other people. It also affects how they make sense of the world around them. Autism is a spectrum disorder meaning each individual will be affected in different ways across all abilities, strengths, difficulties and intelligence. Although each individual is affected to varying degrees, they all share key areas of difference: social communication, social interaction, social imagination and sensory processing differences. Often individuals go undiagnosed, sometimes even into adulthood, as those on the spectrum do not “look” disabled or different to their peers. Parents have said that family members or the public often say “your child is naughty” as the difficulties are not easy to see. Adults have also explained how they feel misunderstood. Everyone with autism can benefit from a timely diagnosis & access to appropriate services and support. For more information about autism, visit our About Autism section on our website. Simply download their World Autism Awareness Week 2019 poster to display in your office, school, community centre, shop – anywhere you are able to! You could even go one step further and display some of our information leaflets, include a blog on your website/social media pages or even have it as a discussion topic in your next staff meeting – contact our Fundraising Team if you require additional promotional materials. The more people know about autism, the better the support our families can receive in their day to day lives.